The class ended on a fine note with all of us getting goody bags along with the recipe of the fraisier cake and a challenge at hand. We were asked to create something to rival Eric's fraisier and blog about it. I have been breaking my head about it for so long to an extent it started haunting me in my sleep. I finally got around to doing the challenge a couple of days back and here is my take on it. Since a fraisier cake was slightly out of my league, well mostly because it was just the two of us at home and scared that we would both finish it off in one sitting, I steered away from it. 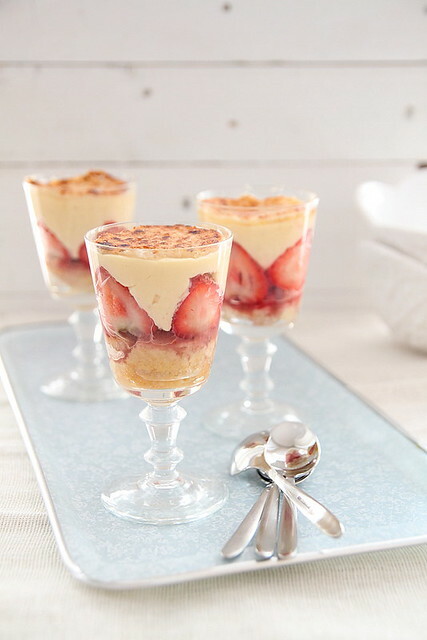 Instead I went ahead with a Fraisier trifle with all the goodness of the cake, but half the effort and oh so pretty they look in a glass and a great dessert idea since individual portions are less messier and storage in refrigerator is easier. I had baked a cake the day before for a friend and had some remaining which was on my kitchen counter nicely wrapped in cling film waiting to be assembled. I then set about making the filling of custard butter cream or fancily referred to as crème mousselini which I think is gods gift to bakers, especially to bakers who hate plain butter cream and cant pipe a frosting for nuts. I started off convinced I would screw it up somewhere and end up wasting a whole lot of ingredients, but when I saw it all come together, I knew I'd succeeded. And OMG I couldn't stop licking it from the mixing bowl and when I tried piping it on to a cupcake, it worked out just as fine and for the first time I had managed to pipe it without it it falling flat or it being too stiff it refuses to come out of the nozzle. I can very well say this is going to be my fav frosting as of now and my next experiment would be to try this with custard powder instead of making it from scratch. Yes laziness is my second name, in case you hadn't figured it out by now. 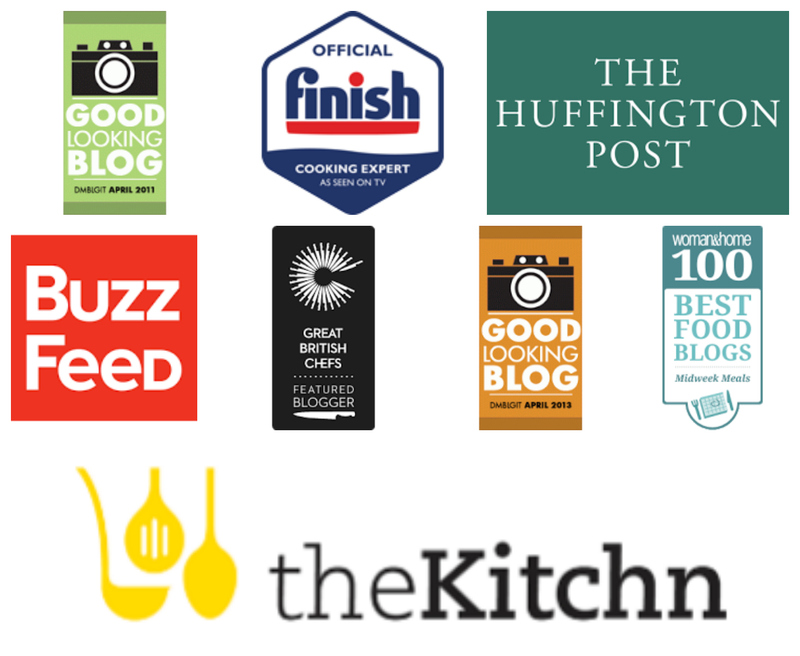 For Eric's original recipe, follow this link. I am giving my version here, with Eric's recipe as the base. The measurements given are for the fraisier cake on the whole and not the trifle. I have, however, explained how I went about getting the trifle in order. Sift together the first 4 ingredients into a bowl and keep aside. Into the bowl of a free standing mixer with paddle attachment, add the butter and beat on medium speed till soft and creamy. Add the sugar and continue beating till the mix becomes light and fluffy, about 3 minutes. In goes the eggs one at a time, beating well after each addition. Follow with the egg yolk and beat it in. Beat in the vanilla. At this point the batter may look curdled, don't panic, just keep doing the good deed. Now reduce the mixer speed to the lowest and add the dry ingredients and buttermilk alternatively, starting and ending with the flour mix. Scrape down the sides, making sure no traces of flour is seen and everything is mixed well. Pour into the lined cake pans and bake in an oven pre heated at 176C for about 30 minutes or till golden brown and the skewer test comes out positive. If making cupcakes, fill liners till about 3/4th full and bake for about 20 to 22 minutes, checking in between. Cool completely on wire racks and then cling wrap it and leave it at room temperature for up to 2 days. Into a heat proof bowl throw in the sugar and egg yolks and whisk till you get a smooth mix. Meanwhile, pour the milk into a saucepan placed over medium heat, and bring to a gentle boil, just till the milk starts foaming up. Take it off the flame and add it to the egg mix, bit by bit, whisking continuously till well incorporated. If you find pieces of curdled egg don't panic just run it through a sieve. Return this mix back to the saucepan placed over medium heat and cook till boiling, whisking continuously to prevent the custard from sticking to the bottom and forming lumps. This takes quite a while, so patience is highly recommended. When the custard boils and has become thick and silky smooth, continue whisking for about a minute longer and then take it off the flame. 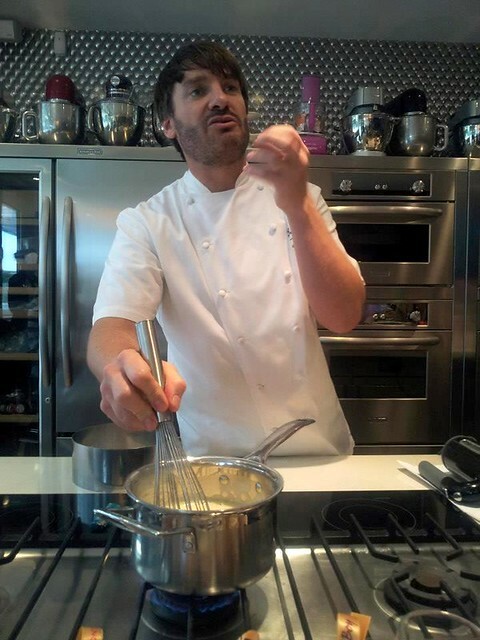 Transfer to a mixing bowl and add half of the butter, whisking well to incorporate it into the custard. Cover with a cling film and leave to cool in the refrigerator. Or if you have time on the kitchen counter. Once completely cool, add the vanilla bean paste and liqueur (if using) and whisk it in. Add the remaining butter bit by bit whisking well after each addition to get a smooth and gorgeous creme mousselini which makes a perfect frosting. Marzipan- 200 gms, rolled out and cut into 9 inch circle. When ready to assemble, unwrap the cake and slice off the top if it has domed. Then place the cake at the bottom of a cake ring and using a palette knife, spread a thin layer of creme mousselini over it. Cut some of the strawberries in half and place it around the edge of the ring, cut half facing out. Fill the centre with the remaining strawberries, making them stand upright. 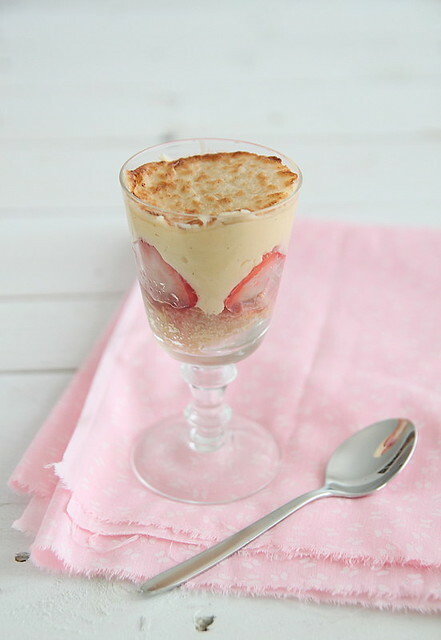 (the trifle version is as below). 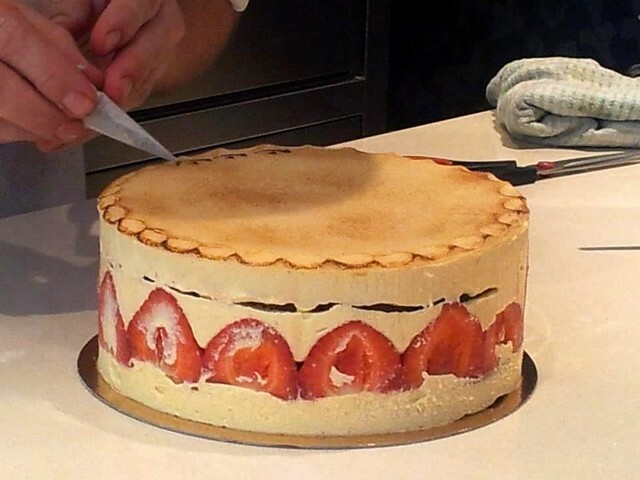 Spread the remaining creme mousseline on top of the strawberries, trying to fill in the gaps as much as possible. Place the second layer of cake on top and press down to settle them all in. Place the cut out marzipan on top, flute the edges and toast using a blow torch. Melt the chocolate and use it to write 'Fraisier' on top and decorate the cake a bit. Also use some strawberries dipped in chocolate to adorn the sides. 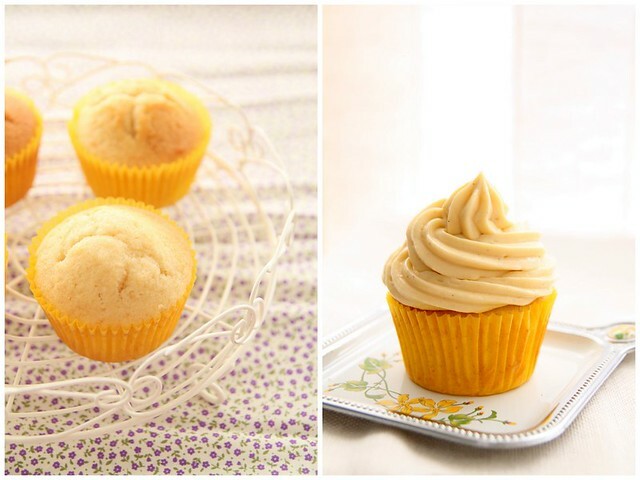 Chill for a few hours before you unmould to get a gorgeous looking cake. Crumble some of the cake roughly and keep ready. You can also cut them into the exact size of the glass, but I didn't have the patience. Get 3 see through glasses, tumblers, martini glass, pudding mould...anything you fancy and layer the bottom with the crumbled cake...generously and tuck it in lightly. Melt about 3 tbsp of strawberry jam lightly and mix with 1 tsp water. Spread a thin layer of jam on top of the cake. Cut the strawberries as mentioned above and place them inside the glass, cut side outward. Fill with one large strawberry upright. Top generously with creme mousselini, filling in the gaps as much possible, but really its no big deal because the messier a trifle looks, the better. Top with a toasted marzipan and chill till ready to serve. Notes: I don't own a blow torch so I rolled out the marzipan, cut them into rounds and placed under the grill for about 2 to 3 minutes to lightly toast it. But as you can see I ended up burning most of it. Take extreme care when you do this as one blink of the eye and you can end up with black marzipan. Lucky you for getting a chance for a master class like this. I am so going to try that cream for the cupcakes. And love that trifle too. trifle is awesome dear,great pics. Am i allowed to cry here....i love and want this. Glad to see that you had an excellent class with the Master Chef. Trifle looks so delicious and tempting. 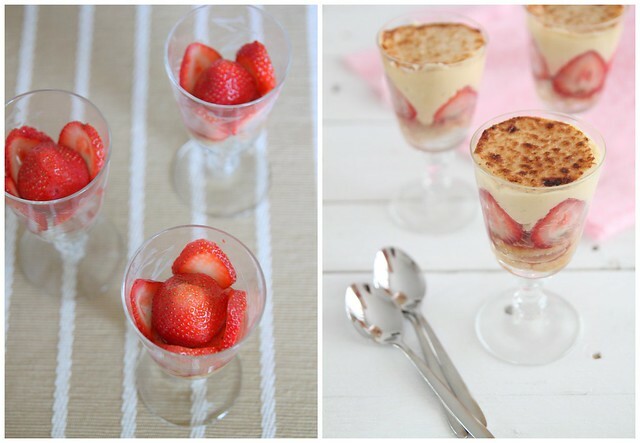 P.S: those trifles look gorgeous! Absolutely love it. I love trifles, but I would never say no to a huge slice of Eric's cake either. The pics are bright and cheerful. 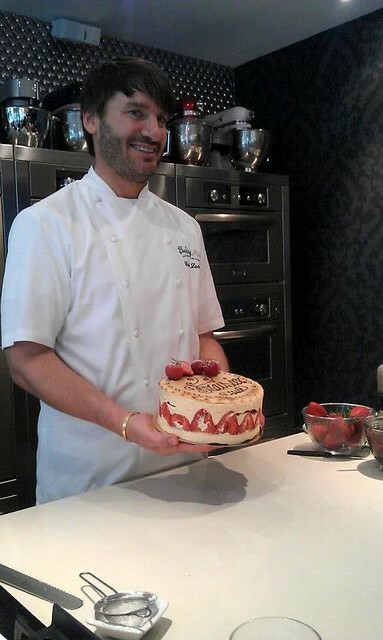 The chef looks a bit like Saif ALi Khan? Gorgeous! Im hearing about creme mousselini for the first time. Maybe condensed milk would also go well, in place of whole milk? i have been silently reading you for a long time now and went and bought this vanilla extract after seeing your post. it's insanely expensive in singapore but i am sure it will be worth it. the smell is so heady, to begin with! Wow, you attended a session with Eric. Yes he does look like Saifu to me :-) I recently received three bottles of Magagascar Vanilla extract and I must they were so flavorful and little was more than enough to flavor my cakes. I love your pictures as always. I love the trifle idea, really hope you win! The class sounds so much fun and Eric does look super cute. The frosted cupcake looks fabulous, have to try the frosting soon! I am way toooooooooo tempted Nisha... I love fraisier and in a glass..nice idea and its easy to serve as individual portions.... Beautiful. i have always loved mini desserts, something in a cup or fancy wine glass. It looks pretty and you know when to stop. These pics are gorgeous Nisha!!! They are brilliant - what a great idea. I just made mine and was wondering what everyone else had done. I did a winter-frasier using plums and cinnamon. I'm so glad we had the masterclass! Looks yummy!!! I think I will try the cup ones!!! What a cute version of my recipe!! I love it, it’s the perfect dessert for a large family and there’s no cutting of the cake to get stressed about. You kept all the different parts of the recipe like the sponge, sliced strawberry and even the little disc of toasted marzipan …. great work. 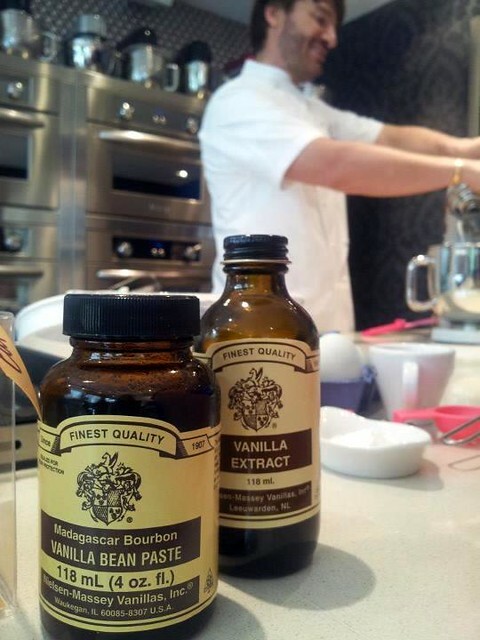 Glad you enjoyed the vanilla masterclass and that it inspired you.